Web design project for interorissimo, an amazing interior architect and interior designer in Marbella. Interiorissimo´s Marbella headquarters has an exclusive distribution agreement with over 50 top Italian & other European designer brands. Items are delivered direct from factory to our project destination enabling us to offer highly competitive prices to our clients worldwide. He also has similar agreements with another 90 European companies specialising in high-end customized bathrooms, spas, kitchens, audio & video products and design brand home accessories. 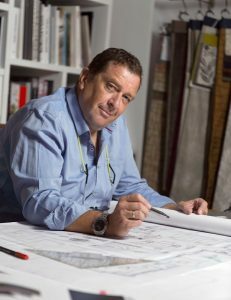 Fernando Carrizosa-Kolbe draws upon his encyclopaedic knowledge of the latest European designer collections to give his signature “& factor” to the sophisticated living spaces he creates. His close working relationship with in-house designer craftsmen throughout the continent enables him to commission personalised decorative elements unavailable elsewhere.